When you think of living in stylish Miami Beach, you think of a lifestyle that is similar to living at a resort. You imagine the luxury and the amenities at your doorstep all the time. Well, if you live (or have vacation property) at Canyon Ranch, that is exactly the lifestyle you have. Canyon Ranch is a Miami condominium and condo hotel that consists of three separate buildings each catering to a different type of buyer. Two of the towers (North and South Towers) are residential condominiums built in 2008 and the Center Tower, a condo-hotel remodeled in 2008 from its former owner, the Carillon Hotel. Each offers property that is ideal for full and part-time residents as well as investors who are interested in vacation rentals in Miami. Canyon Ranch is located directly on the beach in the north end of Miami Beach. 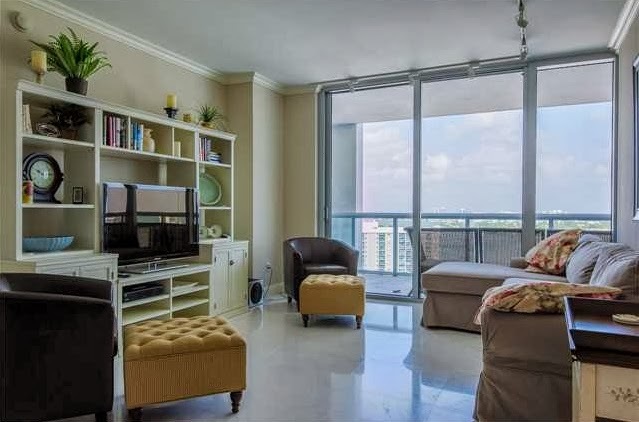 It has super easy access from the North Bay Causeway making it the ideal location for those who enjoy going to Miami as well as those heading northward along A1A towards Fort Lauderdale. 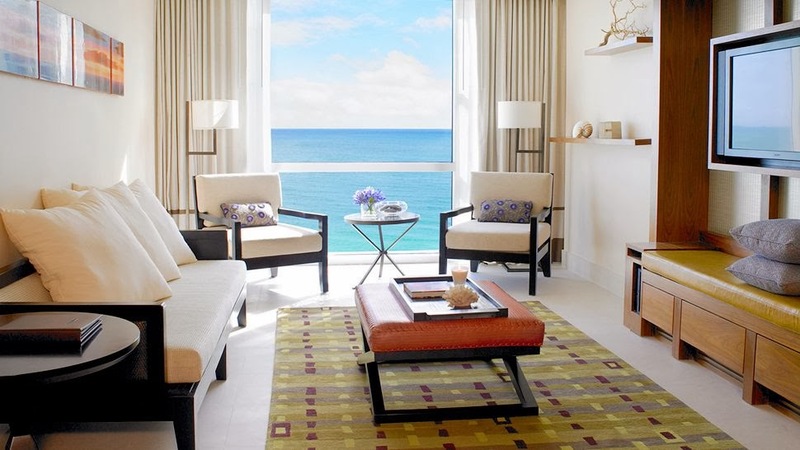 Its oceanfront location is also perfect as it is slightly away from the Miami Beach crowds. 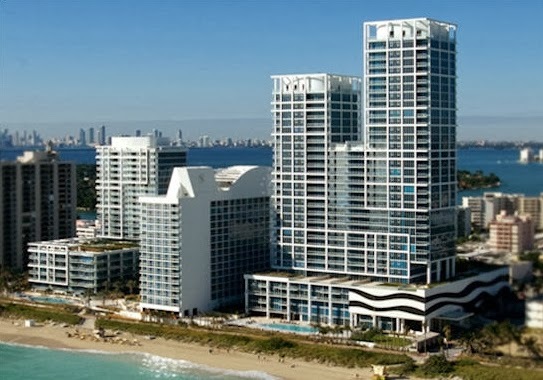 In 2008, the Carillon Hotel was fully remodeled and became the Center Tower to the new Canyon Ranch Miami Beach with two additional towers flanking the original building. With the new North and South Towers built solely as residential condominiums and the Center Tower acting as a condo-hotel, the new Canyon Ranch has become the first “healthy-living” resort and condominium community in all of Miami-Dade. Center Tower – 6801 Collins Avenue. The Center Tower is the original hotel that was a true Miami hot spot beginning in about the mid-1950s. Inside the condo-hotel, there are 230 units. The first 10 floors The Center Tower has a total of 230 units. The first 10 floors are dedicated to 150 one and two-bedroom fully-furnished hotel suites. Inside these suites are the most luxurious accommodations that you can imagine with high-end fixtures and finishes as well as designer-quality furniture and accoutrements. Owners of one of these units can choose to live here full or part-time, put the unit in the hotel rental program or lease it at their discretion. With leasing, there is no limit to the number of times or length of stay for the hotel suites. The other five floors (11 through 15) are home to 80 traditional condominium units. The owners have the choice of living here full or part-time or purchase as a rental investment and rent it at their will. The difference in these units is that there is a six-month minimum lease. Residents of the Center Tower have access to a 60,000 square-foot state of the art spa and fitness center which includes the Canyon Ranch Health & Healing Center which offers preventive medicine and wellness services. Additionally, other amenities include walking and biking paths along the beach, Canyon Ranch Café, 24-hour lobby reception, seaside sun terraces with direct access to 750 feet of beautiful white sand beach, and valet and concierge. Owners of property in the Center Tower have the ease of having everything (amenities) at their fingertips. Life in the Center Tower is like living on holiday all the time or whenever they choose to do so. List prices in the Center Tower range from the low-$400s to well over $1 million for one and two-bedroom units. In 2013, 11 units sold in this building with sale prices from the low-$500s to over $1.1 million. North Tower – 6899 Collins Avenue. The North Tower is comprised of only residential condominium units. It has a much more exclusive and private atmosphere than the other two buildings with its own entrance, fewer units per floor and private valet service. 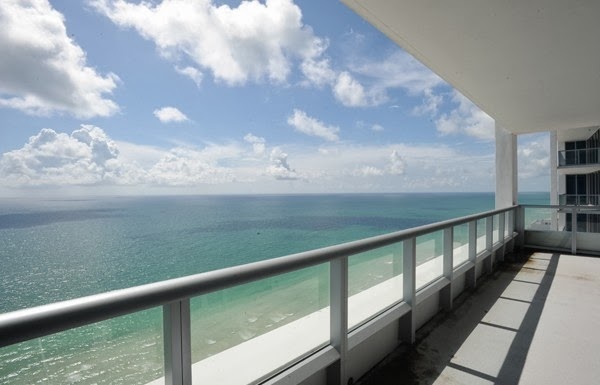 Inside, there are 207 units spread over 35 floors along with seven oceanfront townhomes. Still, the North Tower, like its sister buildings, offers residents and guests access to all that the entire property has to offer in addition to its own including the Sunrise Pool that sits just steps away from the beach and the Sunset Pool located on the 6th Floor. In addition, the Ocean Studio is located in the North Tower where residents can participate in any of the fitness classes offered (fees are part of the Condo Association Fees). The North Tower houses one and two-bedroom units ranging in size from about 800 square feet to over 2,000 square feet as well as two and three-bedroom townhouses that are between about 2,500 square feet and almost 3,600 square feet. List prices range from the mid-$600s for a one-bedroom unit to about $5.5 million for an oceanfront townhouse. In 2013, there were 14 sales with sale prices from about $400K to well over $3 million. South Tower – 6799 Collins Avenue. The South Tower is the other residential condominium at Canyon Ranch that is 21 stories tall with 146 units. Connected to the Center Tower via an enclosed walkway, residents have easy access to the spa and fitness center area and other areas in that building. Along with this come 24-hour security, a reception desk and valet parking. List prices in the South Tower range from the low-$400s to over $2 million for residences ranging in size from a little over 700 square feet to over 2,000 square feet. There were 24 sales in 2013 with sale prices from the upper-$400s to over $4 million for one, two three and four-bedroom units. From the outside, the architecture is designed to complement the oceanfront background with each of the blue-glass towers. Inside, there are floor to ceiling windows with unbelievable bay, ocean and city views. The contemporary, gourmet kitchen features high-end stainless steel appliances from Miele and Sub-Zero as well as custom Italian cabinetry and granite counter tops. Bedrooms have walk-in closets and lots of space. Canyon Ranch describes itself as a healthy living community and offers tons of amenities to expand on that idea and include a 70,000-square-foot spa, five-star cuisine, and other services that aid residents and guests in maintaining a healthy lifestyle. Canyon Ranch Living offers residents and guests the most luxurious accommodations combined with a healthy lifestyle. It is all about making everything work together to create an environment similar to that of a five-star spa and resort like those seen out west. Miami real estate like that at Canyon Ranch is a chance to live a wonderful life – inside and out.